Ganesha, also spelled Ganesa and Ganesh, also known as Ganapati, Vinayaka , Vighnavinashaka, Gajanana and Pillaiyar, is one of the best-known and most widely worshipped deities in the Hindu pantheon. His image is found throughout India and Nepal. Hindu sects worship him regardless of affiliations. Devotion to Ganesha is widely diffused and extends to Jains, Buddhists, and beyond India. 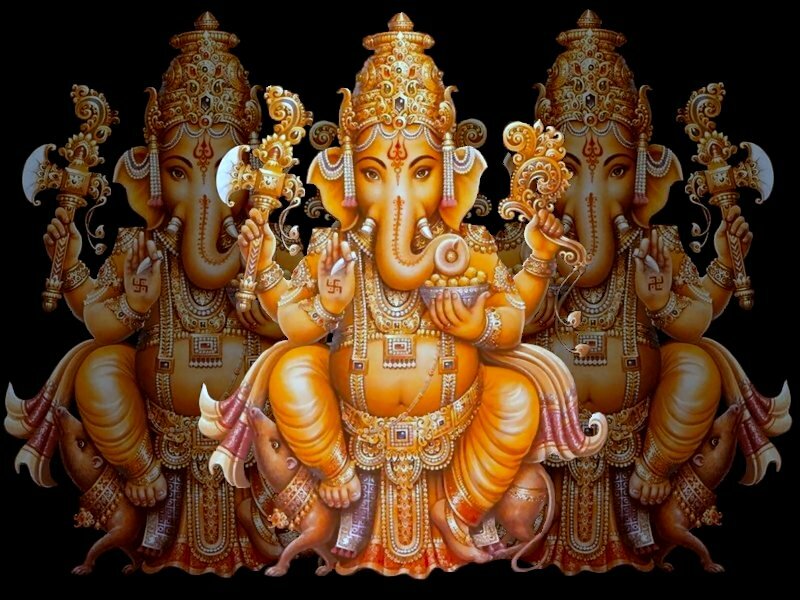 The birth of Lord Ganesha is one of the weirdest tales I have ever come across, here it is modified and modernized for your reading pleasure. He has four hands, elephant's head and a big belly. His vehicle is a tiny mouse. In his hands he carries a rope (to carry devotees to the truth), an axe (to cut devotees' attachments), and a sweet dessert ball -laddoo- (to reward devotees for spiritual activity). His fourth hand's palm is always extended to bless people.